This winter has been one for the record books. Mother nature has not let us forget what a Canadian winter really is with all this snow. 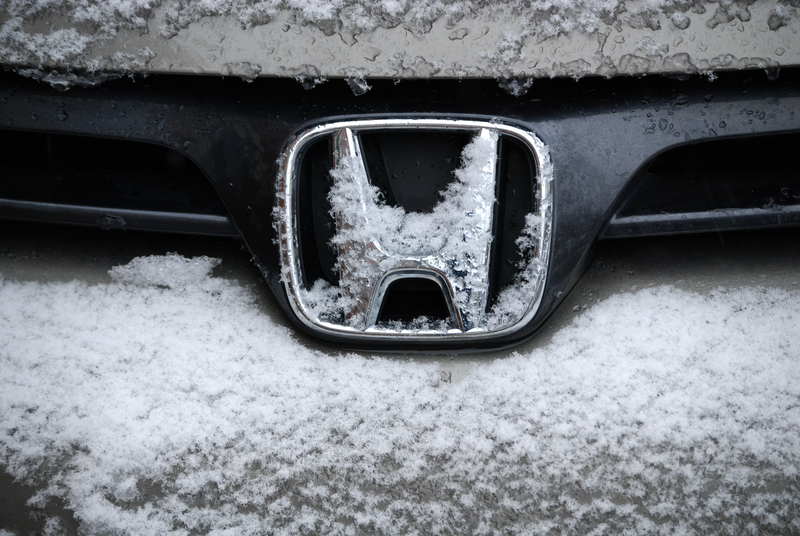 And with the winter weather warnings today, Henley Honda wants to remind you how to stay safe on the roads when the going gets tough. When it comes to winter driving, make like a Boy Scout and be prepared. Don’t hit the roads unless you are sure your car can handle the winter conditions. Cold weather tires are a number one priority for snowy and icy conditions. Remember to check your anti-freeze, battery and that everything is functioning properly. Also stock up on an emergency kit and small snow shovel. It’s true that all-wheel drive makes for a safer drive in snow and ice, but don’t let it give you a false sense of security. You still have to be cautious. AWD monitors the torque sent to each of your vehicle’s tires to help control your traction in snowy conditions. So, you should have no problem flying down the road, right? Wrong! You won’t have the traction you need to break. So yes, AWD gets you going in wintery conditions, but it doesn’t make you a super hero. A lot of drivers have the bad habit of speeding and snow doesn’t always slow them down. When you start to slip, every second matters and speeding limits the amount of time you have to react and avoid a collision. As soon as the temperature is hovering around freezing or the snow starts falling, slow down. Drive at a safe speed that gives you the reaction time you need, just in case. Just because you are comfortable on the roads in the winter, it doesn’t mean everyone else is. Keep your distance and avoid following too closely. Double your normal distance between vehicles so you have more braking time. Keep your eyes ahead, looking for stoplights, curves or road hazards so you know what’s coming before it happens. By keeping your eyes ahead, you’ll be able to avoid slamming on the brakes. Winter roads are more hazardous and slippery, and cause more panic which often leads to slamming on your brakes without thinking. Don’t do it, you will lose traction. If you feel yourself begin to slide, ease off the accelerator and let your vehicle slow down. You want your tires to keep moving so you still have some traction and are able to steer if necessary. Slow and steady braking is the way to go in winter. Like you, we’re hoping to see the end of winter soon. But if Wiarton Willie has anything to say about it, there are a few more weeks to go, so stay safe and drive smart.